Celebrating Our Women: Michelle Pickering | Careers | Mondelēz International, Inc.
At Mondelēz International, we believe in the amazing power of diversity. In fact, being “Open and Inclusive” is one of the values at the heart of our organization. For International Women’s Week, we are celebrating some of the women within our organization who are empowering themselves and their colleagues to be at their best. 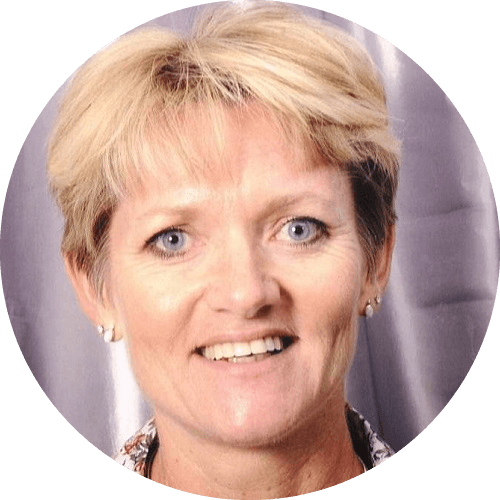 Michelle Pickering is a Senior Director for Research, Development, Quality & Innovation (RDQI) for Chocolate in Europe, and has 29 years of experience in leading RDQI teams for consumer products across multiple geographies and cultures. As well as leading a team of scientists and engineers for chocolate innovation, Michelle also plays a role in championing other women to grow into leadership roles. Here she shares some of the highlights of her career to date, and just some of what she has learned. Together with my team of food scientists & engineers plus the broader MEU Chocolate category team, we bring new innovations to consumers across iconic brands like Cadbury, Milka, Alpen Gold, Marabou, Cote d’Or, Freia, Toblerone... and many more. Of course, my role is about more than innovation -- we’re also working to expand our margins to help us reinvest in our brands, while ensuring we have right quality standards for all products so that our consumers can experience the same great quality in every chocolate moment. When I look at my career so far, the most memorable experiences are living and working in five very different countries; South Africa, United States, the U.K., Israel and Switzerland. In addition to these, I have also worked and executed projects in an additional 36 countries as varied as Egypt, Nigeria, Mexico, Brazil, Australia and Colombia. Figuring out how to work effectively with the teams and deliver in these diverse cultural environments cannot be learned from a book…it takes an open approach, feeling comfortable to ask questions, and knowing upfront that you may make a few mistakes along the way. The learning curve may be a little slower to start, but when you make the connection, especially in environments where language adds an extra layer of “fun,” it is always very rewarding! The most challenging moment in my career was probably when I decided to change functions after having spent all of my professional life working in very technical roles within RDQI and Manufacturing. I asked for an opportunity to work on the commercial side of the business, leading Innovation in Marketing. I wanted to do this to broaden my understanding of the business, but it was certainly a little scary! Fortunately I very quickly realized that I was putting pressure on myself to deliver from day one, whereas everyone else was fully expecting me to have a learning curve and was ready to help me. Taking a step back and seeing the situation from the perspective of my colleagues really helped me during the transition, and relieved some of the pressure I felt. I truly believe that RDQI and science-based roles are no longer seen as male-dominated, and I’m glad that we have more women managers in our function through middle management level. We are now supporting women to grow within our organizations to senior leader roles, by taking into account more flexible work arrangements for periods of time and by creating networks which provide support to our female communities. We have started a RDQI and Integrated Supply Chain Women’s Affinity Group with the objective of growing and developing gender diverse careers in MDLZ. Our group is a broad community of women in Technical roles, and is designed to achieve gender-balanced leadership to ensure MDLZ benefits from a wider range of perspectives and experiences, and enables the professional aspirations of our technical women. Our focus for 2017 is on what matters most for our women colleagues: having open conversations with our senior leaders, supporting robust development plans for the female population, and providing female community coaching. Work-life balance is very important to me, but I also think it’s important to role model as a leader. Some years ago, a young team member mentioned that I seemed to work all the time and that she felt she’d never be successful if she did not work as much. It was at that point that I realized just how much other colleagues look up to you when you have a more senior role, and they do not always see how you manage your personal life. I now make it a point to share with my teams that as an early-riser with a husband that is anything but an early riser, it is very easy for me to get up at 5 a.m. and work for a couple of hours before having a family breakfast…be it a workday, weekend or even vacation day! Importantly, I shared that I don’t expect the same from my team -- and I don’t expect them to answer any mails that I send out if it is a weekend. Carving out a few hours in the early morning keeps me feeling up-to-date, with very little impact on my family…and I can also get home at a reasonable time at the end of the day! My advice is to figure out what works for you, and if need be, align with your manager and then manage others’ expectations. We don’t live in a cookie-cutter world where everyone is the same, so let’s not think we all need to work in the same way! My advice for other female professionals would be to take a chance and put yourself in an uncomfortable situation. Personal learning and growth does not come from doing more of the same…even if you do it brilliantly! The sense of accomplishment is very rewarding and demonstrating what we call learning agility is very important in the business context. For sure this may not be easy -- as typically our DNA has a bias to caring and nurturing -- even putting others first. You just need to start small…seek out an opportunity which is not so foreign or uncomfortable, amaze yourself, and then build from there. Read more about our inspiring women!